The FAI has apologised to 1993 Windsor Park hero Alan McLoughlin for a “complete oversight” in not inviting him to tomorrow night’s friendly against Northern Ireland at the Aviva Stadium. 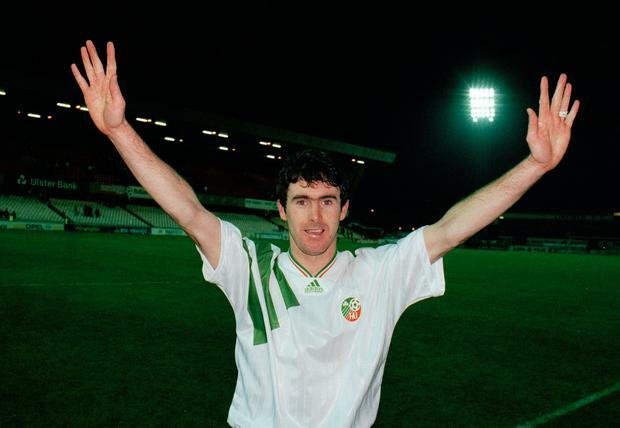 The game falls almost exactly on the 25th anniversary of the tense World Cup qualifier in which McLoughlin’s goal famously put the Republic of Ireland through to the 1994 World Cup finals in the USA. McLoughlin revealed in a statement last night: “Unfortunately, I won’t be able to attend Thursday’s match at Aviva Stadium due to work commitments with Swindon Town FC, where the newly-appointed manager is keen to utilise my knowledge of the current squad between now and Saturday’s game against Carlisle United. “I would love to have attended but, as outlined in an interview with Vincent Hogan of the Irish Independent last week, I had not been invited. 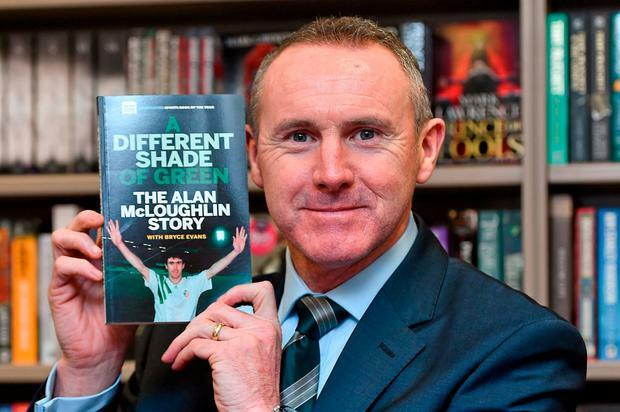 “This was something I revealed on being asked if I would be in attendance at the friendly against Northern Ireland, coming as it does almost exactly on the 25th anniversary of the game in Windsor Park that secured our qualification for USA ’94. McLoughlin added: “The FAI made numerous attempts to contact me after publication of the interview and I did eventually speak with their representatives as well as chief executive John Delaney on Monday. “They have apologised profusely to me over what they have described as ‘a complete oversight’ on their behalf. “They also apologised for the absence of any communication from the association when I was diagnosed with cancer six years ago. “The 25th anniversary of our qualification for those World Cup finals should, I believe, have been recognised this week but I/we – the players from that ’93 squad – accept that it won’t be and move on. “Hopefully, lessons will be learned from this and an ‘oversight’ such as this won’t be repeated. “I have accepted an invitation from the FAI to attend a future game at Aviva Stadium, which I look forward to greatly. “I also appreciate that the association took the time to contact me personally over the last couple of days. “Hopefully I will, thus, be able to show the Republic of Ireland supporters my appreciation for the incredible support I/we always received while playing for our country and, in my case specifically, during the time of my illness. “One thing I have learned from that time is to always live for today.